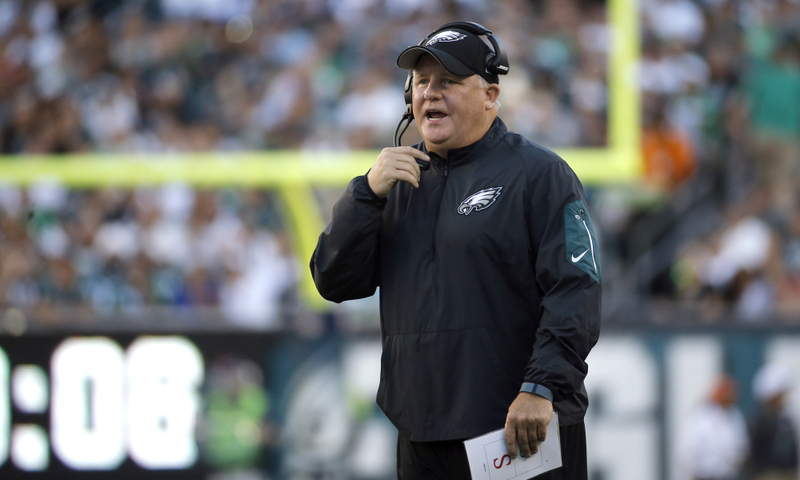 Chip Kelly has finally found a job. The former Philadelphia Eagles, San Francisco 49ers and Oregon coach is joining ESPN as a studio analyst next season for both college football and the NFL. ESPN announced the multi-year deal on Friday. Kelly will be used for pregame, halftime and wrap-up shows for ESPN2 on Saturdays during the college football season and also be an analyst on Sundays for SportsCenter. The 53-year-old Kelly, of course, went 26-21 with a playoff appearance in three seasons with the Eagles before going 2-14 in his lone season with San Francisco. Chip went 46-7 during his illustrious Oregon career using his signature blazing up-tempo attack before making the jump to the pros. Kelly released a statement about his new gig. I spoke with a lot of people this offseason about different situations for me, in coaching and TV. I had various opportunities in both. In the end, I have had a relationship with ESPN for many years from when I was coaching and after speaking with them, I decided it was the best step for me to take. I have been a coach for nearly the last 30 years. Working in television will allow me to see the game from a different perspective, but I didn’t take the job with the intention it will lead to something specific. I love the game of football and working with good, smart people; ESPN presents an opportunity to combine those two things. While Kelly might’ve been signed to a multi-year pact, I don’t expect him at ESPN for more than this upcoming season. He’ll be in high demand for a college job once the season is over.